A616252 Compression forceps, for Yasargil clips, metal, by Jetter and Scheerer of Tuttlingen, German, 1930-1970. Yasargil clips are used during neurosurgery to help treat aneurysms. This is where a blood vessel wall is weakened and begins to swell, a condition that can occur anywhere in the body. Blood vessels can also burst, causing internal bleeding. This is especially dangerous if the burst occurs in the brain. The clips measure 14 mm long and 3 mm wide. These clips were invented with M Gazi Yasargil (b. 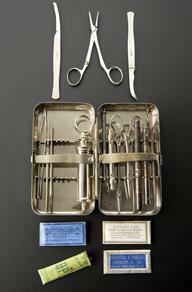 1925), one of the pioneers in applying microsurgery techniques to neurosurgery. 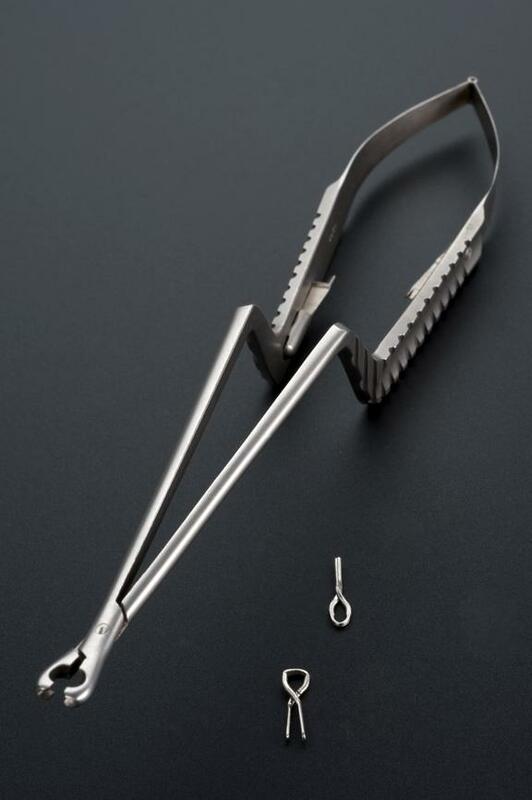 They are still made today and are available from most surgical instrument suppliers. 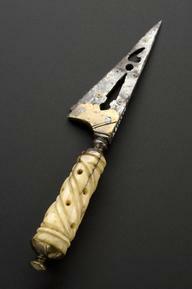 They are shown here with the compression forceps (A616252) used to apply the clips.